Audio: James Gardin gets vulnerable on new single "Black Boy Blush"
James Gardin released a new single “Black Boy Blush” on Friday via Illect Recordings featuring production by Ess Be. In the current era of rap where being vulnerable is more more in style, Black Boy Blush is a song in that same vein. 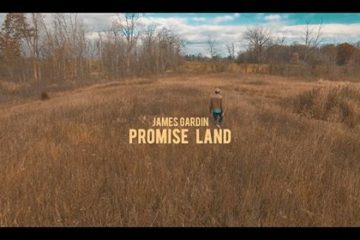 James Gardin teams up with fellow Michigan creative Ess Be to compose a musical display of the butterflies in the stomach that one feels when they’ve met “the one”. Society makes us feel like women are the only one’s who are shy, wooed or charmed in romantic pursuits, but sometimes those roles can change. Black Boy Blush is filled with humor, black love, and melodies over house inspired production by Ess Be that dances around like your emotions do when you’re with that special person. Black Boy Blush is available for download and streaming at all outlets including iTunes, Bandcamp, Amazon, Spotify, and more.